Wow. So it’s been a over a year since I last posted and I am very very sorry for neglecting this blog. Partly because I really enjoy writing these posts and they became a great way for me to express my ups and downs over the last few years. But over the last year and half I was absorbed in writing something so massive that I had no words left in me at all at the end of the day – even fun ones. Yes, I was writing my PhD thesis. Now as anyone else who has done this will know it is all encompassing. A behemoth. IT CONTROLS EVERY ASPECT OF YOUR LIFE. And for a while I couldn’t see anything beyond it. Now it is done: written, submitted, viva’ed and alterations made, my PhD is officially over. I did it – you can now call me Dr Gibson (squees endlessly in the background). It was really, really, REALLY difficult to write. I wrestled with just the writing for over a year and I’m still not sure I have the required distance to write about the experience. Maybe later. But for now, yes I am back, I’ll try and get on with regular posting as well as making good on some posts I have been thinking about and have sat in my drafts folder for waaaay too long. As proof, and in an effort to follow the excellent example of Open Access champion Dr Jon Tennant in making my work as accessible as possible, I have added my thesis onto Figshare, you can read it here if you want (it’s also on my University Open Access page Pearl). But don’t feel obliged – it’s really long! And so, on to the future! It’s good to be back. You can see how happy I was to hand in my thesis – it was the end of a very long year. 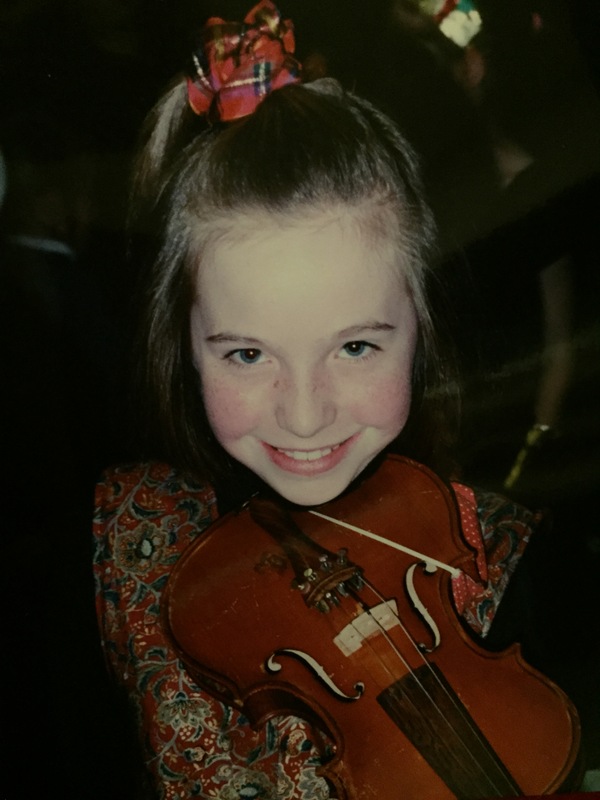 My short-lived career as a violinist – note the snazzy waistcoat and scrunchie! Since those days, I recently realised, a lot, and nothing at all have changed. Doing a PhD is, in many ways, an experience in getting to know yourself. In fact if more people chose to undertake a PhD rather than going off on a yoga retreat, we may know much more about every area of human curiosity. Also, I imagine, introducing yourself as doctor wouldn’t be nearly as satisfying. But still it is something that I as an adult, an independent and (mostly) functioning member of society chose to do. And there is noting so true as saying that when you do a PhD you do it alone. But the thing I always think is that it would be so much more impossible without my amazing support network, at the front of whom are my family. My family has been with me in every step that I have taken on this path, from reading my undergraduate dissertation, helping me pack to move for my first job overseas, forcing me out of bed during my brief period of unemployment in 2008 (great year to be unemployed), being my emotional, educational and financial support system through many highs and lows, to now – letting me move back in so I don’t have to live in some awful student flat! And I am not alone. One of my colleagues has been living with his cousins and their young family for over a year. Another PhD told me recently that your thesis will only be read by your Mum and your viva committee – and they were right! My Mum is going to read it!! She read my sister’s too! 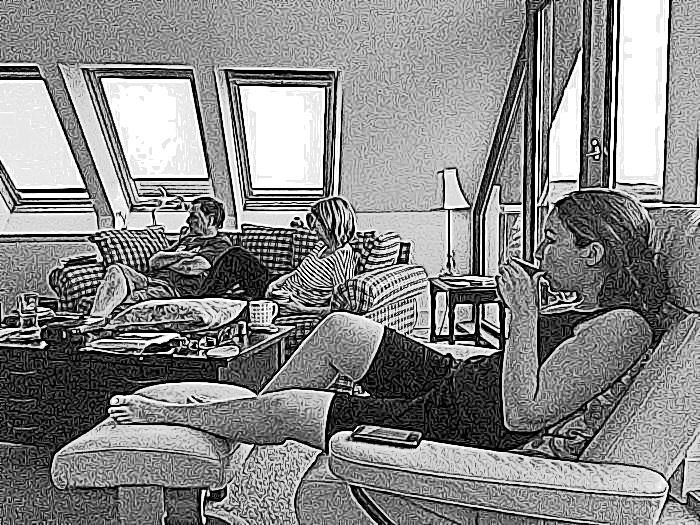 This afternoon, my sister and her partner came to visit us. We had a lovely lunch, caught up on all the news, and then I tested my questionnaire on them. Yes you read right, not only did I waste some visiting time on a questionnaire, but my family is always my first testing ground when it comes to this stuff. I send my Dad my chapters. I ask my Mum to proofread my grant applications. 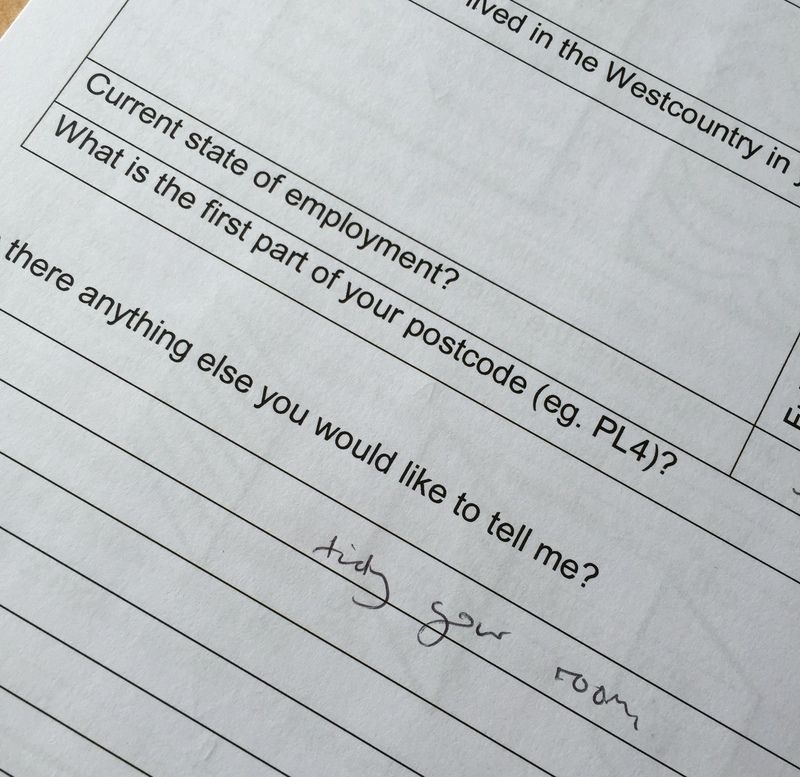 I discuss the pros and cons of having a neutral option in a questionnaire with my sister. Though some things never seem to change…. That they let me do this, I find amazing. But that they also continue to encourage me and provide positive support whilst I angst out my results in my little selfish PhD bubble, I find spectacularly moving. I am so lucky in my family and friends. Friends who know that I won’t speak to them for months, but when I send out a facebook message saying ‘I’m in London, who is free? !” will take me for a beer and a burger. Friends who text me just to say, ‘I’m thinking of you.’ This is what you need to do a PhD, because actually – it is a commitment you need to get, you need support to learn. So turn to your support network, family, friends, partners, children, other PhDs – whoever they are and give them a big THANKYOU hug. Because without them, this would be a whole lot harder.